San Luis Potosí, officially the Free and Sovereign State of San Luis Potosí (“Estado Libre y Soberano de San Luis Potosí”), is one of the 31 states which, with the Federal District, comprise the 32 Federal Entities of Mexico. It is divided in 58 municipalities and its capital city is San Luis Potosí City. It is located in North-Central Mexico. It is bordered by 8 other Mexican states, making it the state with the most borders with other neighboring states. The northern borders are with Nuevo León and Coahuila; the northeastern ones with Tamaulipas; the eastern ones with Veracruz; the southern ones with Hidalgo, Querétaro, and Guanajuato; and the northwestern one with Zacatecas. 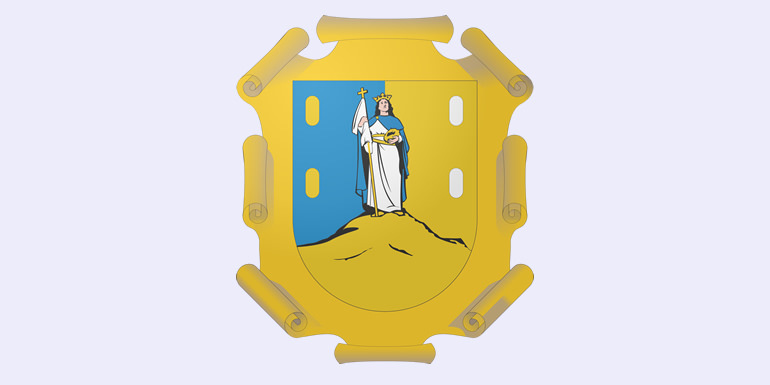 The State was given the name “San Luis Rey”, King Saint Louis, in honor of Louis IX of France, and “Potosi” because the wealth of the state compared to the rich silver mines in Potosí, Bolivia. Settlers hoped of rivaling the Bolivian mine wealth, but this was never truly accomplished. In the 17th and 18th centuries, Franciscans, Augustinians, and Jesuits arrived to the area and settled, then began to build churches and buildings, many of which are still standing and have been turned into museums and universities. The state participation in the Mexican–American War in the years of 1846-1847 gave it the name “San Luis de la Patria”, Saint Louis of the Motherland, for haven contributed important leaders and ideas during the struggle with the United States. During the Reform War, state involvement was very prominent, and during the French Intervention in 1863, the city of San Luis Potosí became the capital of the country under the order of President Benito Juárez. Currently one of the mountains, Wirikuta, within the state’s declared National Sacred Site is being purchased for silver mining by a Canadian company, “First Majestic Silver Corp”. The mountain is an important site for the Huichol ceremonial migration, Peyote hunt, and deer dance. On October 27, 2000 United Nations Education, Scientific and Cultural Organization (UNESCO) claimed this site as a protected area for its importance as a cultural route and endemic flora and fauna species. Later on June 9, 2001 it was declared as a National Sacred Site under the State of San Luis Potosí’s Natural Protection act. Canada’s First Majestic Silver Corp still decided to purchase mineral rights on November 13, 2009 with 80% of their interest within the protected land. The company’s current methods includes open pit mining and lixivation through cyanide, using two kilograms of NaCN per tonne of ore. While open pit mining itself removes entire habitats and landscapes, the addition of sodium cyanide, NaCN, is a lethal method requiring only 0.2 grams to kill a person. In April, 2010 the company also opened a new cyanidation plant in Coahila, Mexico where it has started producing 3500 tons of cyanide a day to help them expand their mining efforts. Currently the Huicholes are trying to find outside groups to help them in the conservation of their land and culture by protecting this mountain. The services sector, also known as tertiary, is second regarding contribution to the state’s income with a 21%, followed by commerce, hotels and restaurants with 18%. These combined activities employ 51% of the economically active population or EAP. The state’s population is relatively young, 60% of its residents being under 30 years of age. The state reports a life expectancy rate similar to the national average, that is, 72 years for men, and 77 years of age for women.